This unit for sale is a front lace wig made with high quality virgin Chinese hair. The hair on this unit can only be processed to body wave or loose curl. This is a beautiful look that most of customers will be sure to love!very cheap price! Medium cap and light brown lace available. 613 color lace front wigs are selling hot, so maybe sometimes it will take more than 3 days to wait new stock wigs to be completed. 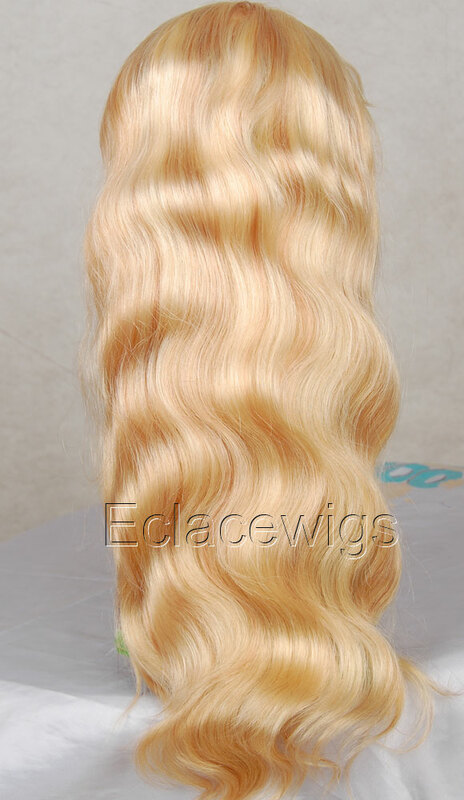 Texture pattern: only silky straight and body wave, loose curl available. It is 120% density. we don't carry thicker density 613 color human hair lace wigs by now. 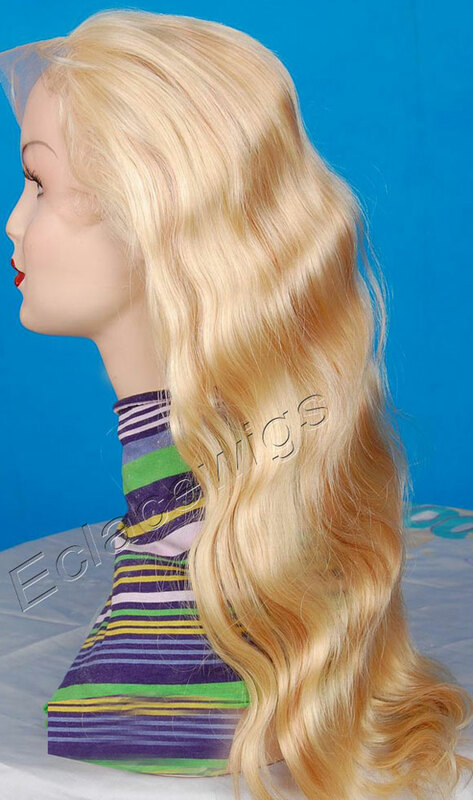 1,Buyer can exchange or return in one week for blonde 613 front lace wig,we can repair for free in one month.Please view the item description and pictures carefully and ask any questions that you have prior to making any purchase. We strive to represent all our items in a honest and accurate way, and we are sure that you will happy with our service and products! 3.We only accept returning by EMS,USPS or other postal office serive packages,other fast shipping package is very difficult to pass our local custom!